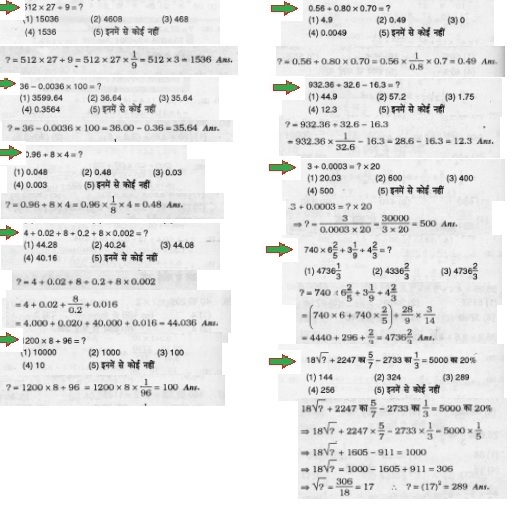 In this post we are going to share some most important short tricks and solving method for simplification questions. 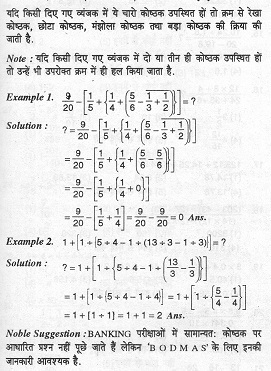 This post contain short tricks of simplification in Hindi as well as English language. These is very useful for all learners who want to crack various national level and state level competitive exams. If all four brackets are present in the ……………… , then it will be solved in the following sequence – Bar bracket , Circular bracket , Curly bracket, and Box bracket. NOTE- If in the given ………….. Only two or three brackets are present, then it will also solve by that sequence. Generally, bracket based questions are not asked in BANKING exams. But for ‘BODMAS’ knowledge of brackets is essential. If in the given coefficient or equation has Bracket , of , division , multiplication , addition and substitution all are present together then it will be solved through ‘BODMAS’ i.e. 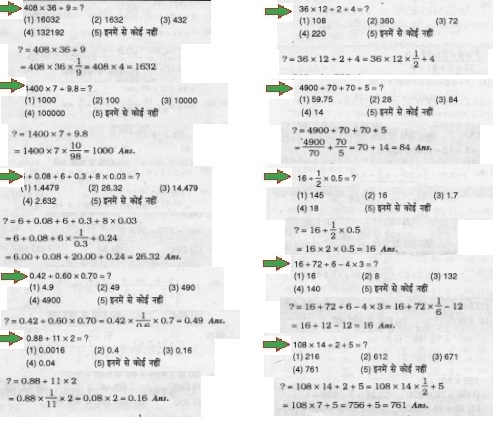 serial order are as follow 1st bracket , 2nd of , 3rd division , 4th multiplication , 5th addition and 6th subtraction.